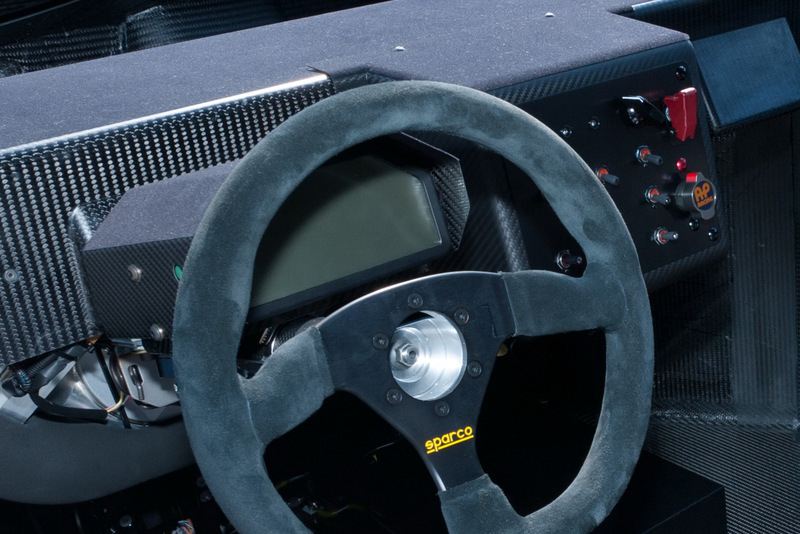 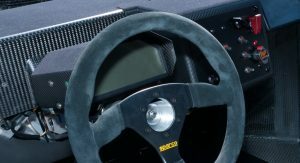 There has been a lot of conversation lately about electric cars and racing, with some even talking about introducing the technology into the F1 stage. 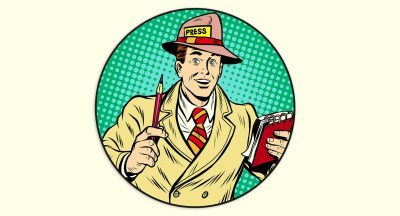 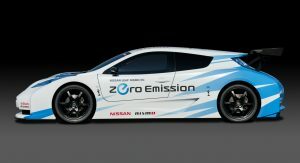 Nissan, on its part, has a lot to gain in terms of awareness given the brands focus on the development of dedicated electric vehicles like the Leaf. 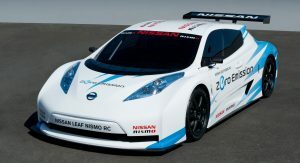 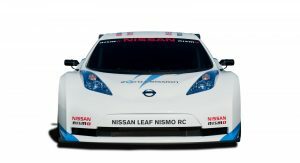 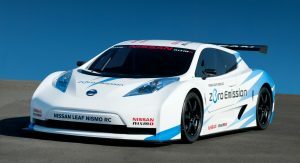 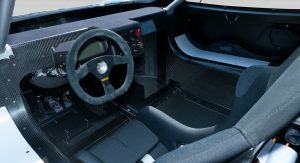 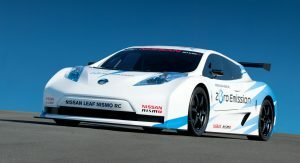 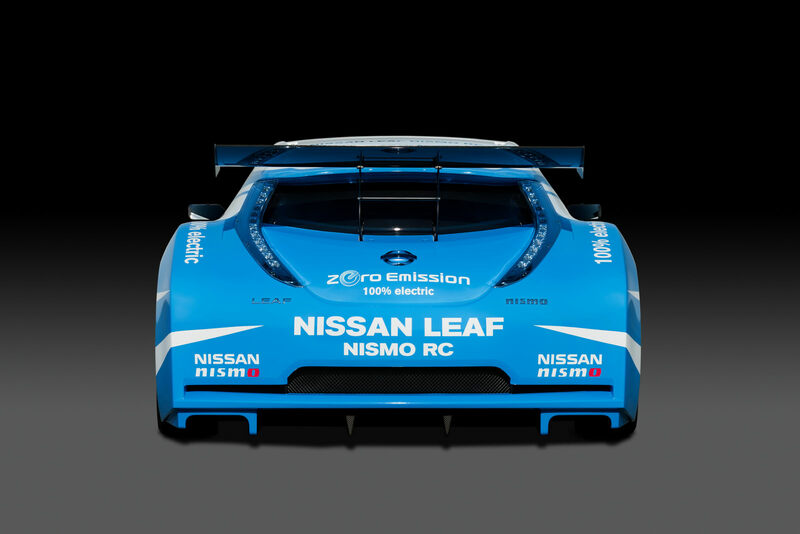 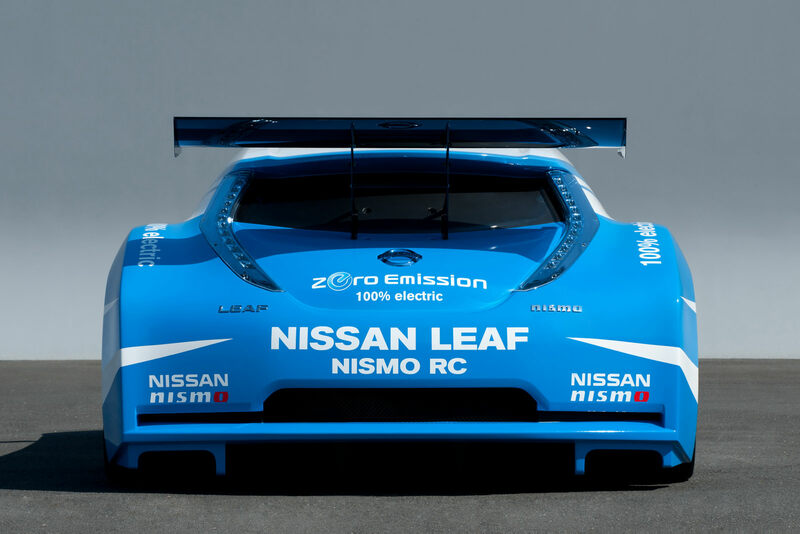 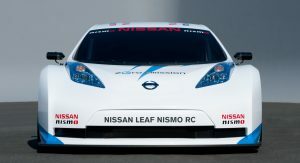 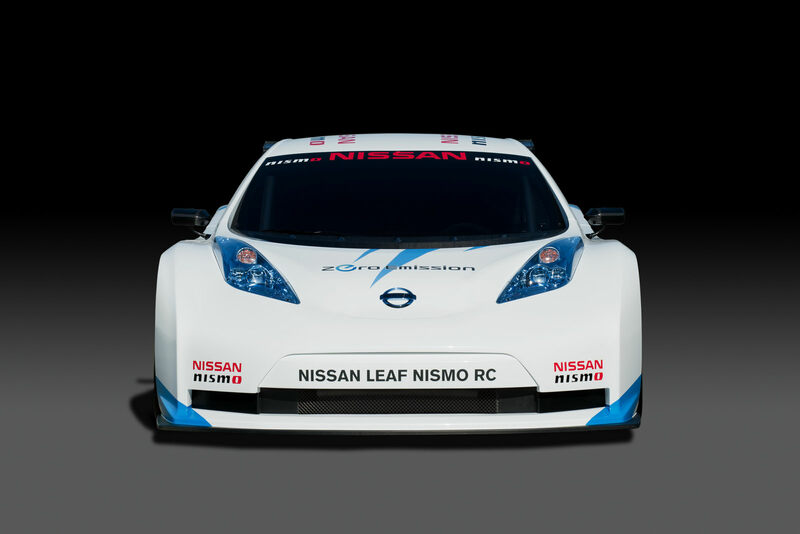 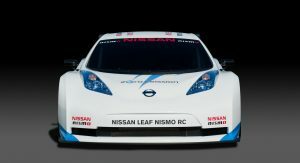 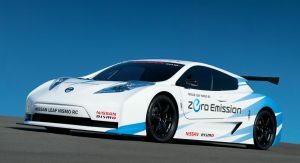 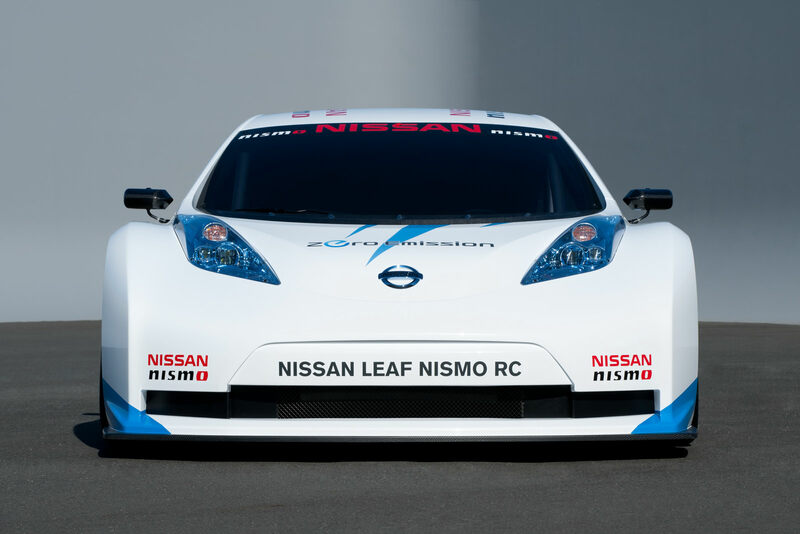 With this in mind, the Japanese carmaker developed a purpose-built prototype racer loosely based on the production Leaf that will receive its first public outing at the 2011 New York International Auto Show . 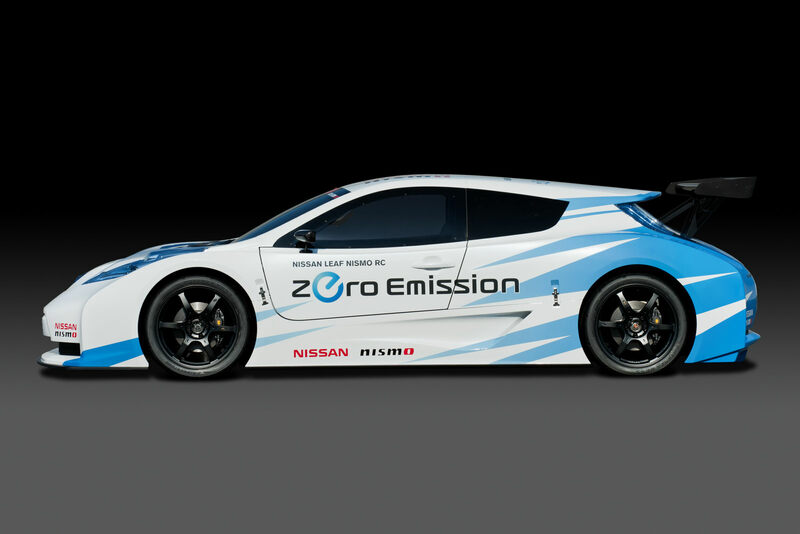 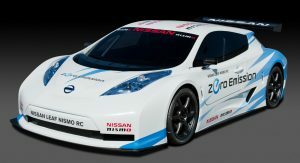 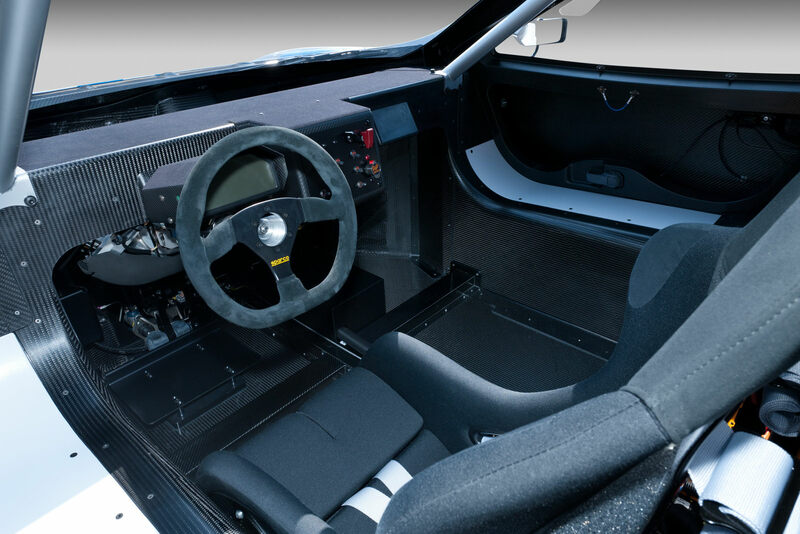 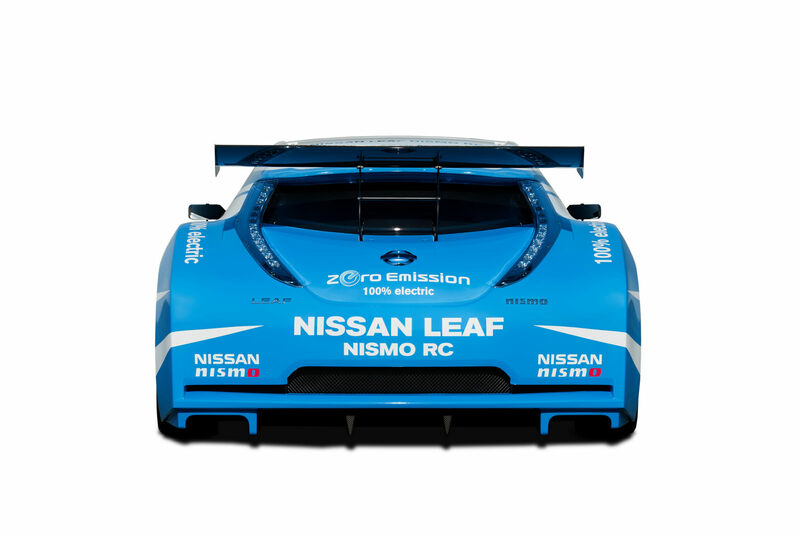 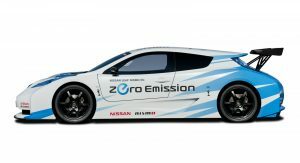 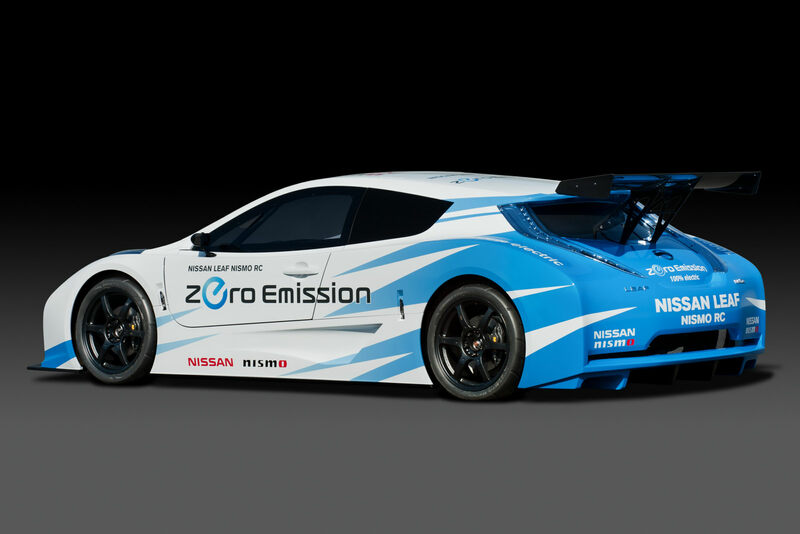 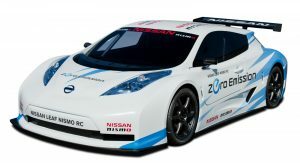 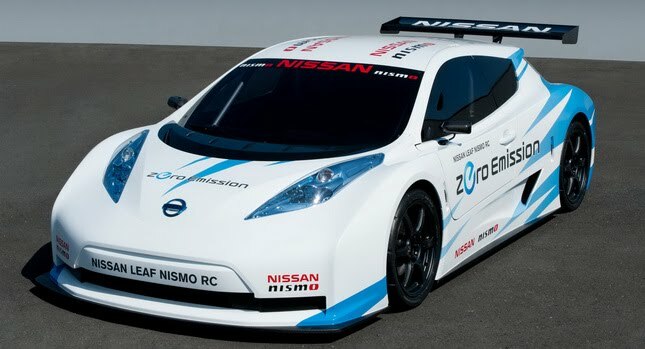 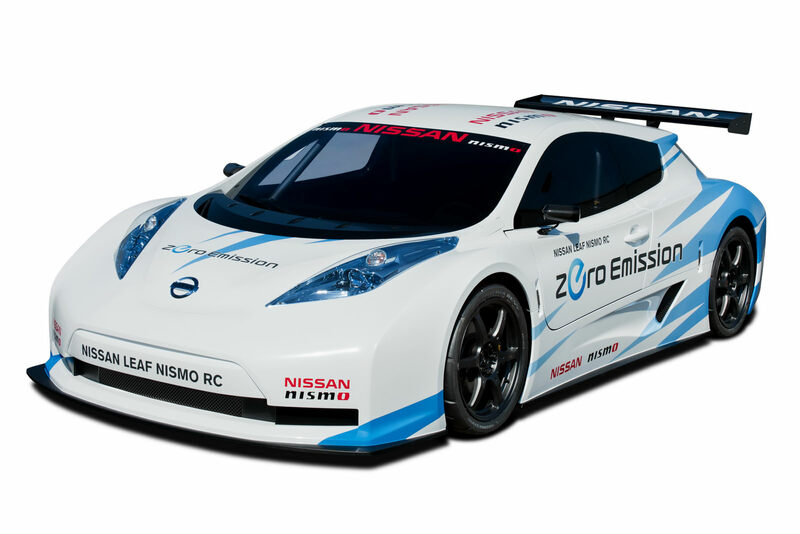 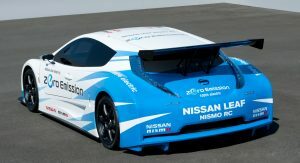 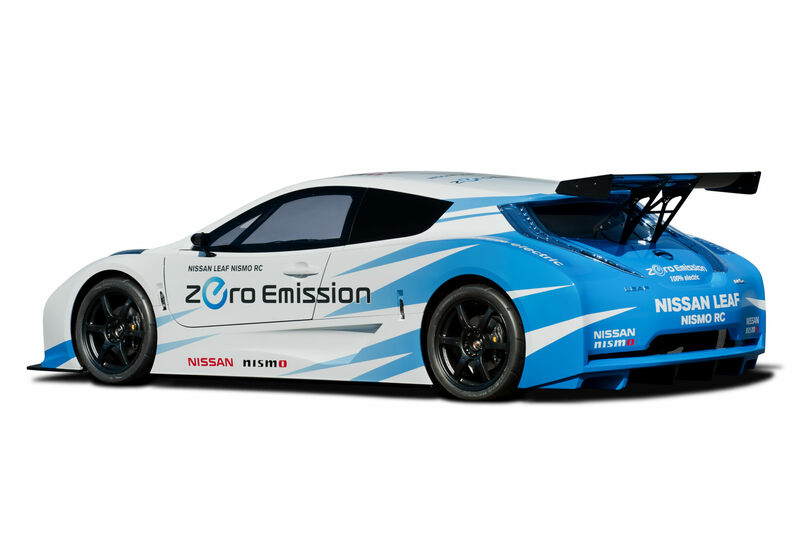 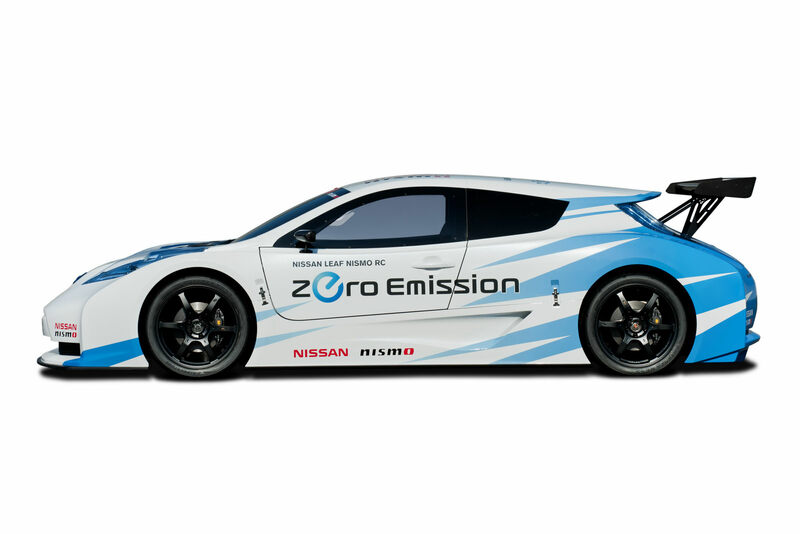 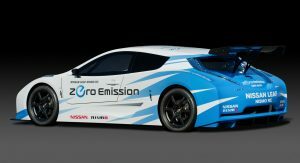 Compared to the production model, the Lead NISMO RC (for Racing Competition), does away with the rear doors, rear seat, trunk, audio system, navigation, carpeting and other amenities, while gaining a mid-ship location for the battery pack, electric motor and inverter. 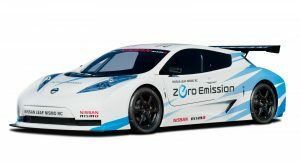 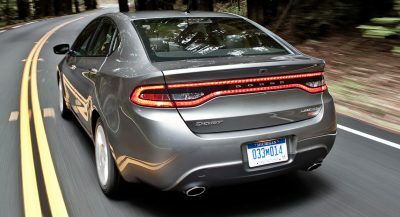 The dedicated racer also gets a full carbon fiber monocoque bodywork with removable front and rear sections, fixed windows, LED headlights and taillights and driver-adjustable rear wing. 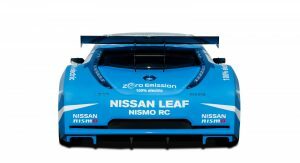 It features a 3.9-inch shorter wheelbase, and is 0.8 inches longer and 6.7 inches wider than the production Leaf, with the most dramatic change concerning height as the RC sits more than a foot (13.8 inches) lower than the road-going model, and ground clearance is limited to 2.4 inches. 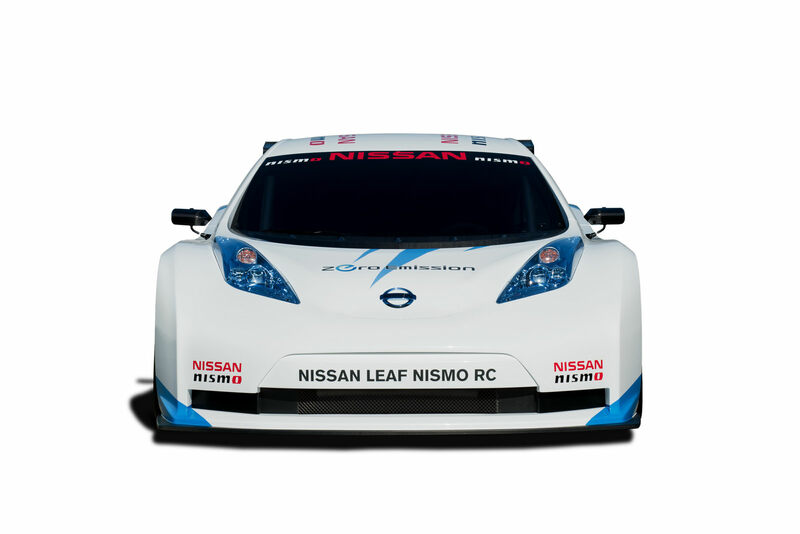 More importantly, at 2,068 pounds (938 kg), the race version of the Leaf weighs in at about 40 percent less than the production vehicle. 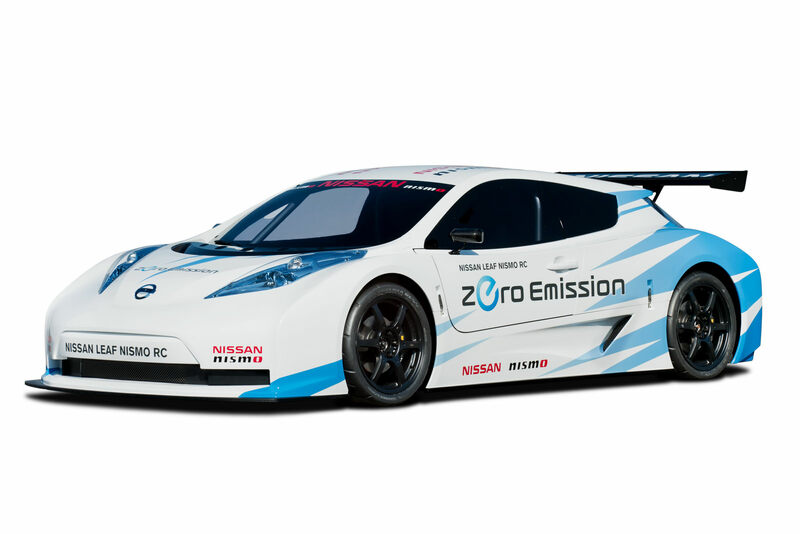 Underneath the carbon fiber skin, the NISMO RC features a mid-mounted lithium-ion battery and a 80kW AC synchronous motor that generates 107 horsepower and 207 lb-ft of torque, both sourced directly from the production model. 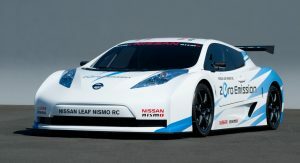 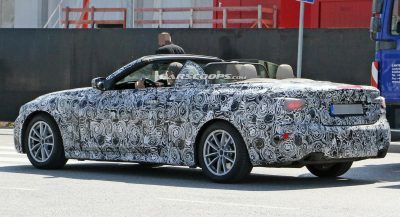 However, power is transferred to the rear-wheels versus the production Leaf’s front-wheel drive. 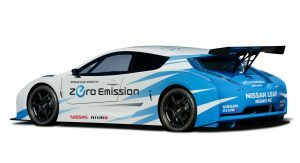 The NISMO RC also makes us of a double-wishbone suspension design front and rear and driver-adjustable brake balance, while it rides on 18-inch 6-spoke wheels and P225/40R18 Bridgestone racing tires. 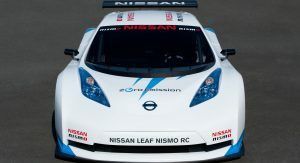 Nissan says that in preliminary testing, the NISMO RC returned 0 to 62 mph (100 km/h) acceleration time of 6.85 seconds and a top speed of 93 miles per hour, adding that it is projected to have a running time of around 20 minutes under racing conditions. 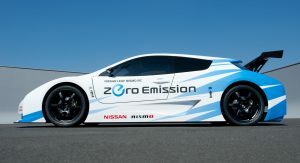 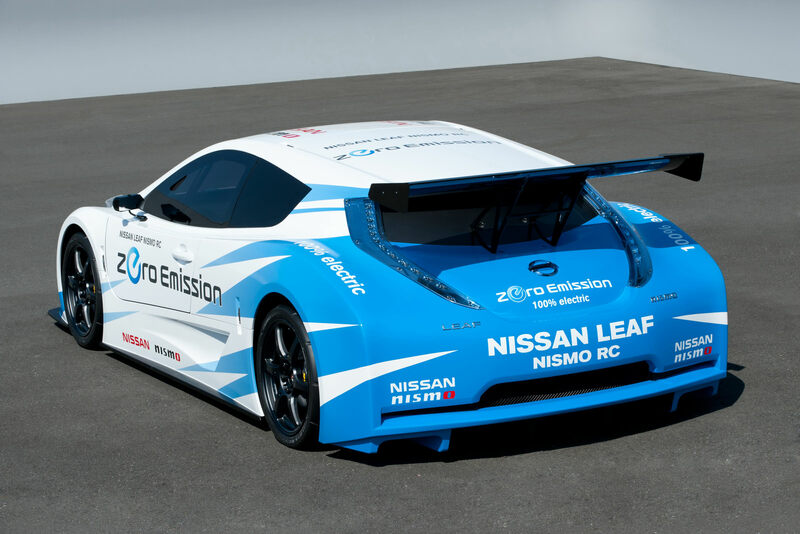 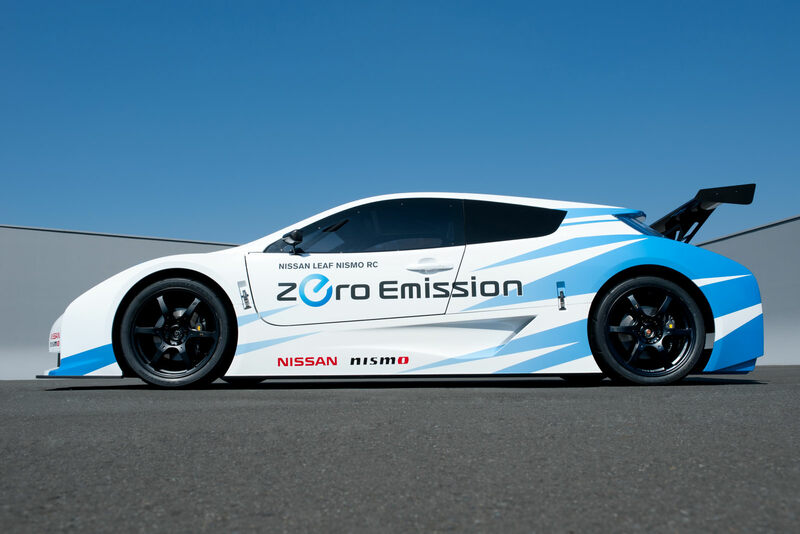 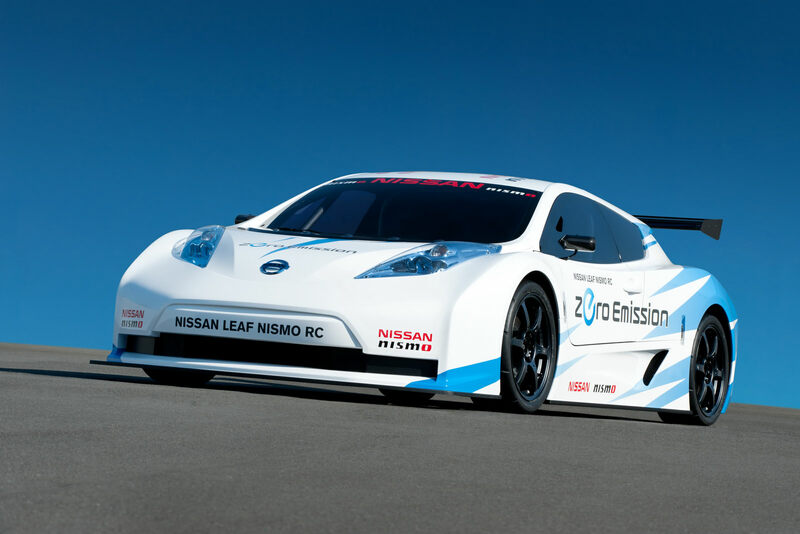 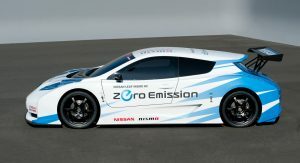 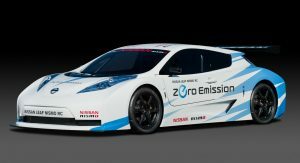 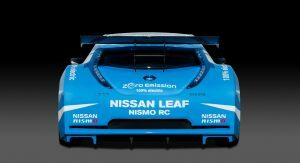 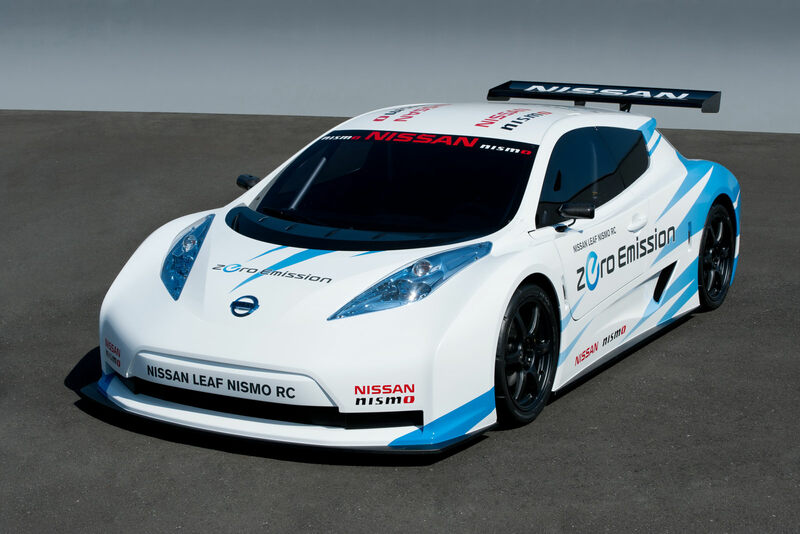 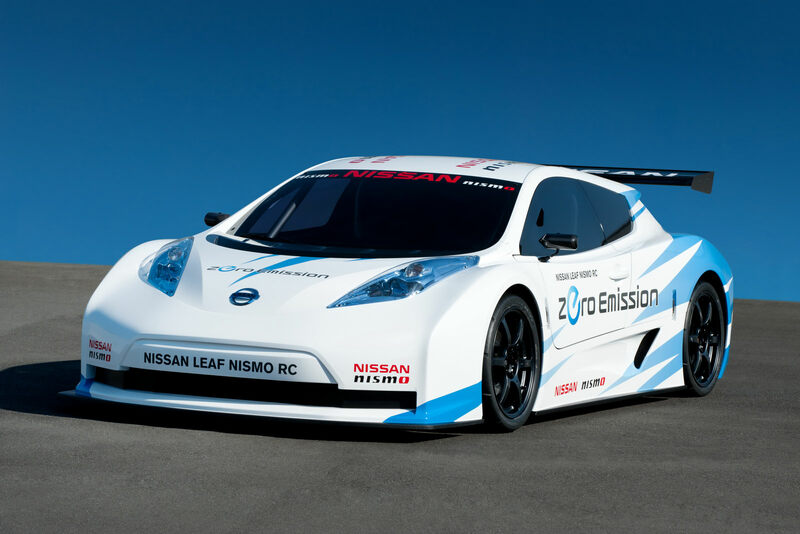 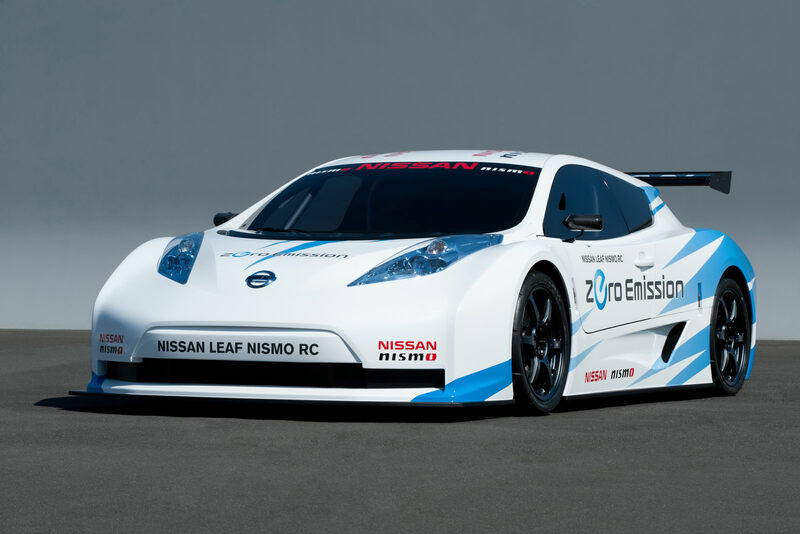 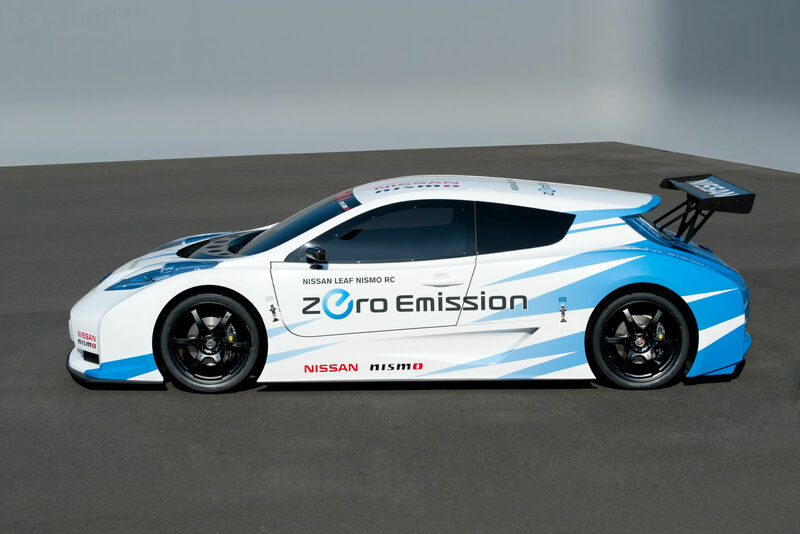 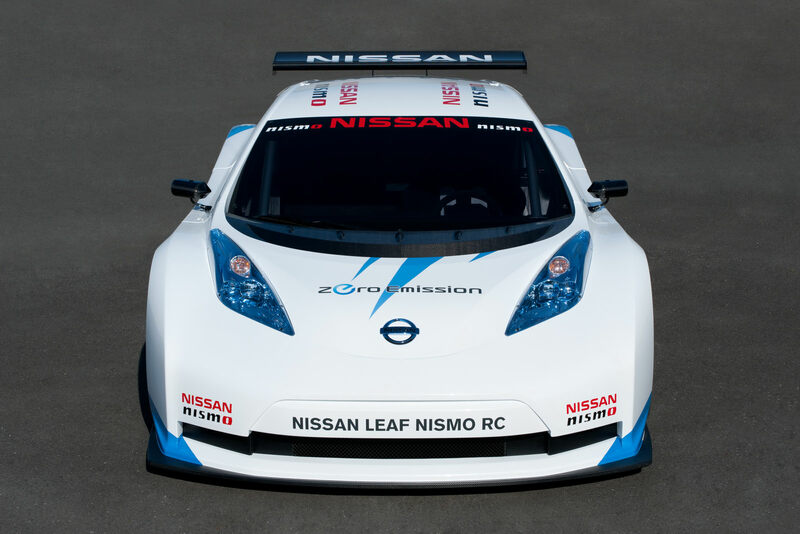 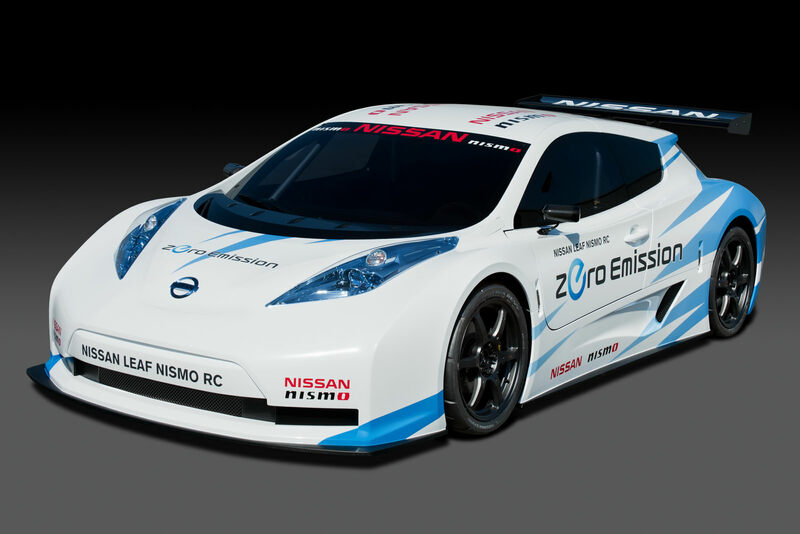 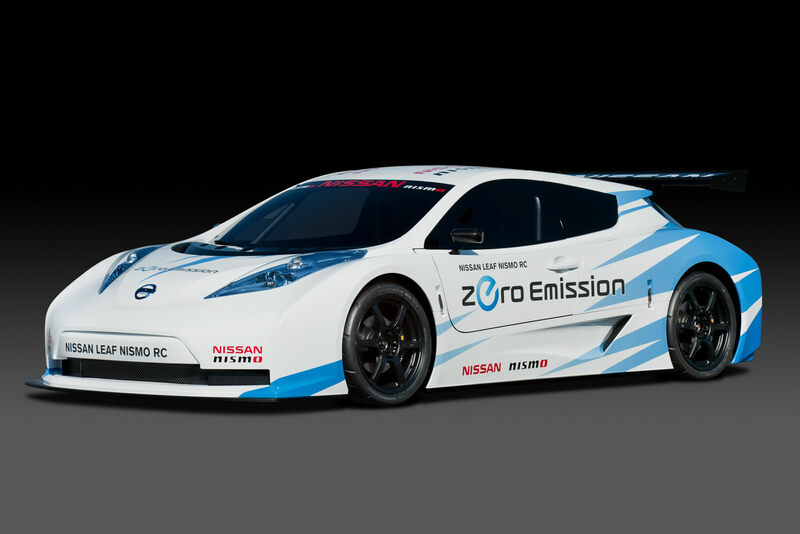 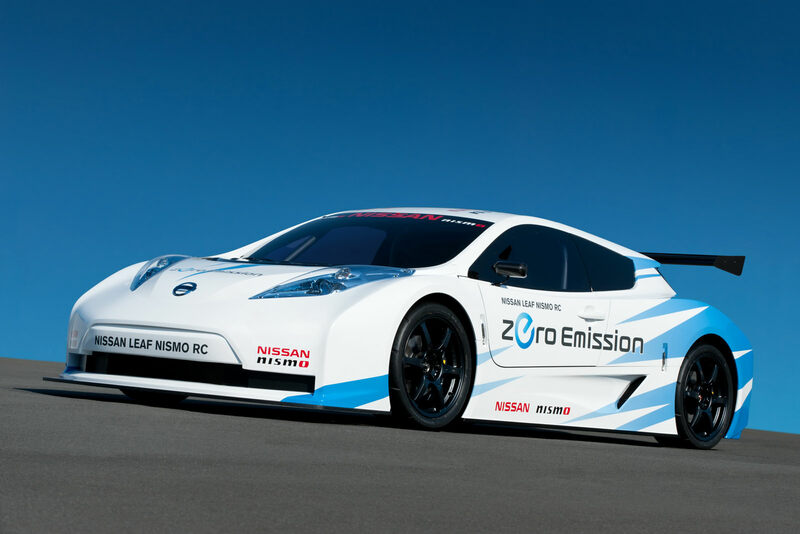 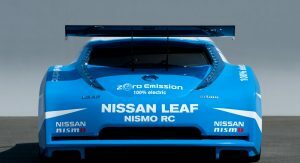 The Lead NISMO RC isn’t just a pure study as Nissan said it will likely make a series of special demonstration appearances at various motorsports venues throughout the year, with the company exploring EV competition spec series in future years.